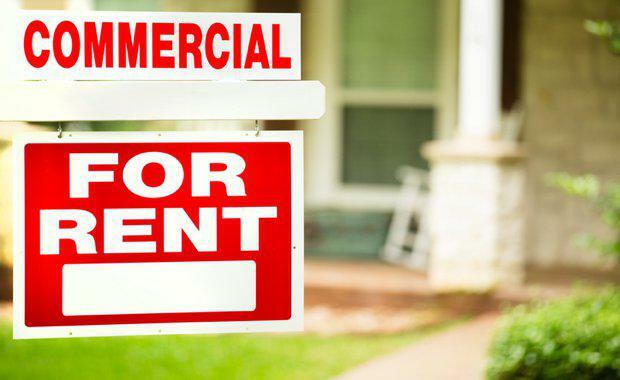 According to the Commercial Property Guide's Asking Price Index, commercial real estate agents have set asking rents at about 2.5 per cent higher than 3 months ago. An online commercial property portal, the Commercial Property Guide compile their Asking Price Index with updated weekly data. It measures the change in sentiment of experienced agents who have made tens of thousands of marketing decisions as to the future direction of commercial property. The index indicates strong demand for commercial space. Australia has undergone a 10 per cent increase in asking rents for commercial property on an annualised basis. The Commercial Property Guide said this growth is driven by financial services and information technology business expansion. Employment growth is mirrored in the type of workspace that is, and isn't, in demand. Industrial rents are also bubbling along albeit not at quite the same rate as offices. In contrast, retail shop rents have experienced a dramatic decline. Up until December 2016, industrial, retail and office property types had roughly similar asking rent increases. Since then each of the major property types have followed very different trajectories. 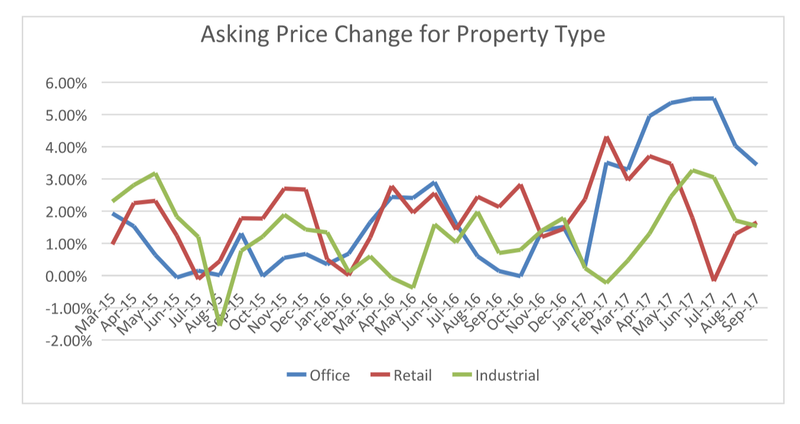 Every six months for the past several years industrial, office and retail asking prices have converged. So that in July 2015, December 2016, July 2016 and then again in December 2016 all three property types converged to have almost identical growth expectations. This time is different. The pattern has been broken in this winter, as each of the major property types have diverged in their asking rent expectations. Although retail may have initially been too pessimistic. In July, office rent asking prices were at their highest ever in three years of measuring. This year office rents have broken out of their cyclical range of the past few years. In September office rents have come down to a mere 14% per annum from their previous record increase of 6% in 3 months (which is equivalent to an annual rate of 24%). The “Death by Amazon” effect has seen asking rents for retail experience a very steep downhill ride. Commercial real estate agents are fearing the worst. Pessimistic media reports from the US for example highlighting that major shop-front auto parts chains such as Auto Zone have been replaced by Amazon as the main retail channel. Industrial rent expectations are also at the highest level in three years, having grown by about 3% over the previous three months. The months leading up to August showed a steady increase since its lowest point which was at zero growth earlier in the year. 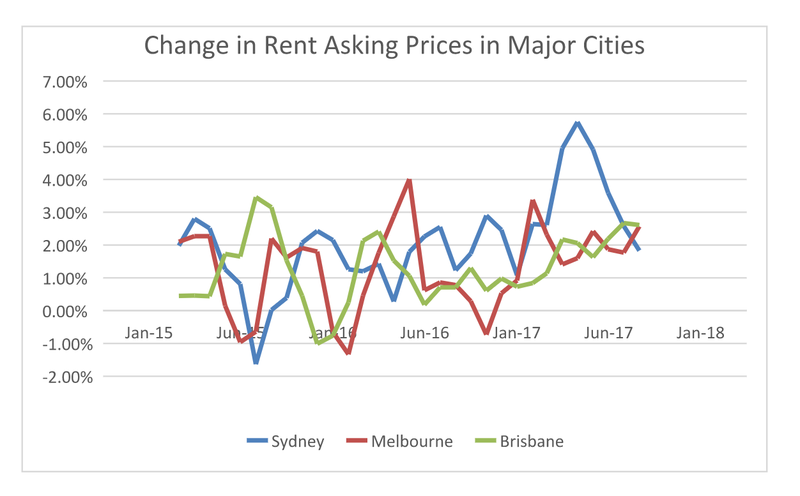 There is a trend towards similar national growth rates in the asking rent across the three major markets of Melbourne, Sydney and Brisbane. The oft-reported price increases of Sydney real estate is reflected in asking price for office rents. The trend this year has been upward with a starting point of 8% per annum in January 2017. There has been an overall surge in Sydney commercial rent that peaked at around 16% per annum in May. 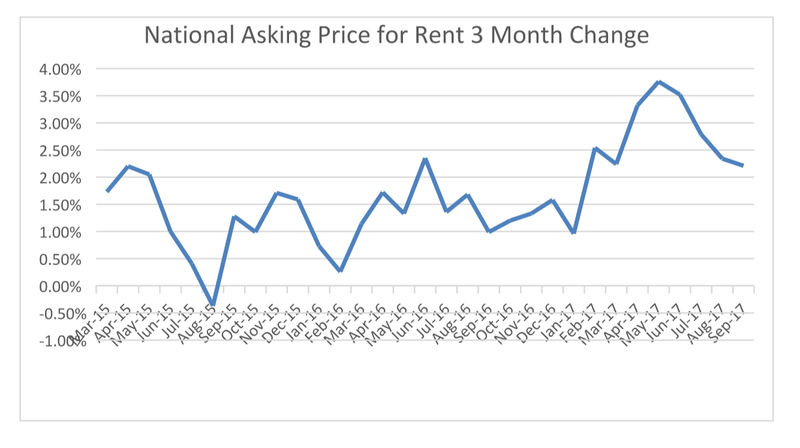 In September asking price for rents have stabilised at the national average. Not as widely reported as Sydney, asking prices for leases in Melbourne have been increasing at about 8% annually. Volatility in 2017 has been much less than in the previous years. There has been little variation in the rate of increase from one month to the next. Brisbane commercial rent increases are recovering and now match those of Melbourne. There has been a steady rise from a three monthly change of about 1% (equivalent of 4% p.a.) in 2016 to a current rate of growth of 2% increase in the past three months which is an annualised rate of 8%.